A new campaign test 9 supporting this group has been created. A new campaign swipe supporting this group has been created. We make a difference to the lives of Londoners by connecting people who need help with those who are willing to give. That’s what we do. 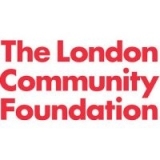 The London Community Foundation are dedicated to improving the lives of London’s most disadvantaged. Child poverty, unemployment, isolation, homelessness, domestic violence and gang crime are just some of the issues we are tackling through our grant making. With the generosity and involvement of our donors, we have invested over £55 million into more than 11,500 charitable projects across the capital since we started in 1995. Last year alone, we made almost 1,000 grants touching the lives of over 100,000 Londoners. You can give to London through us or apply to receive a grant. We are YOUR community foundation: please join us.